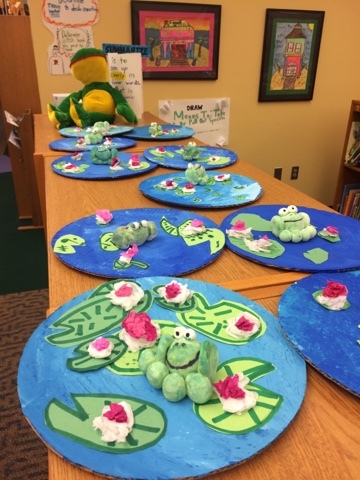 Hudsonville Art Program: Jamestown First Graders create Monet's Garden with Clay Frogs! 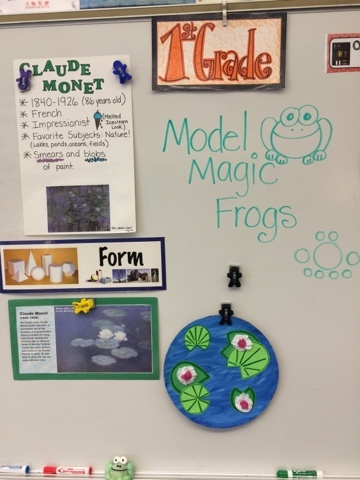 Jamestown First Graders create Monet's Garden with Clay Frogs! 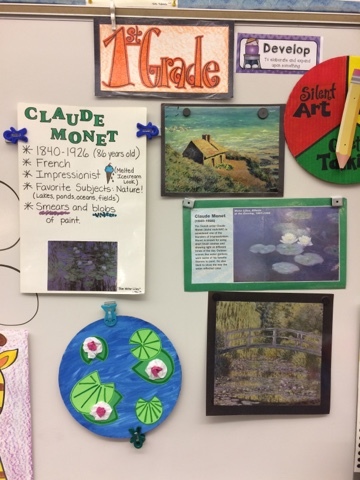 First grade artists have been studying the art and life of Claude Monet! They learned about how he was an impressionist and so his artwork was not clear like a photograph but instead is full of blobs, smears and brushstrokes! We learned about how much Monet loved to paint outside, especially in his garden. 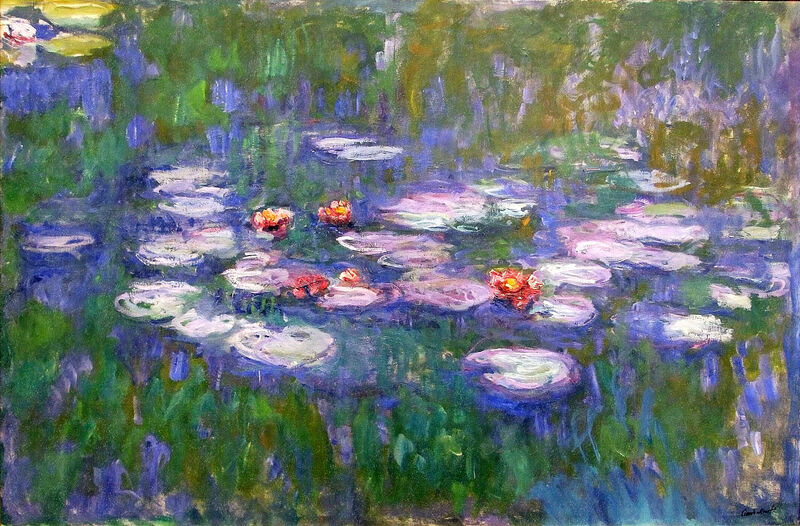 We read a book about a frog named Phillipe who found safety in Monet's garden and really enjoyed the beauty there. We painted with blurry blobs like Monet when we painted water on these cardboard pizza rounds! We learned more about Monet's work by watching the Getting to Know the World's Famous artist video while we worked! We then used different values of green construction paper to create the lily pads and tissue paper to create the 3D flowers! After this was complete, we compared and contrasted two of our art elements: shapes and forms. 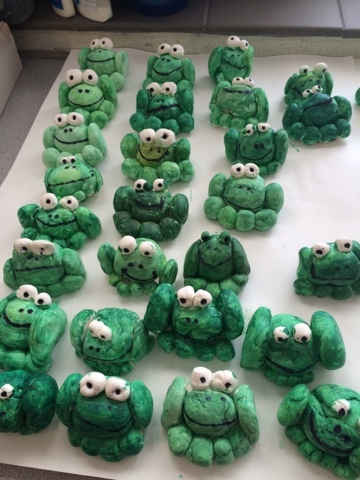 We enjoyed creating Phillipe the frog out of Model Magic clay! The final product is being proudly displayed in our library! 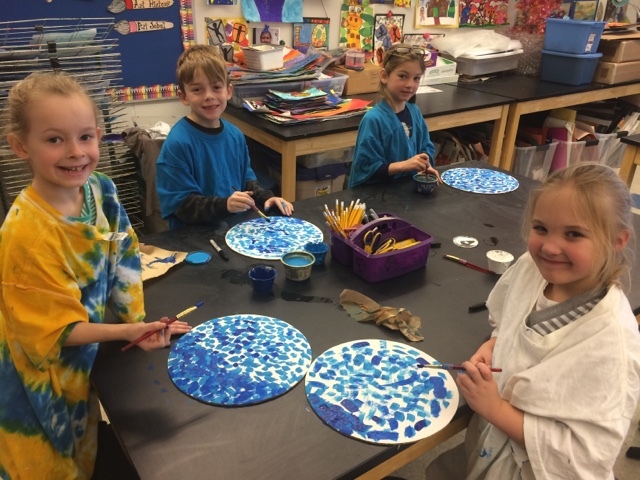 I can demonstrate a variety of values in my paint and in my lily pads.